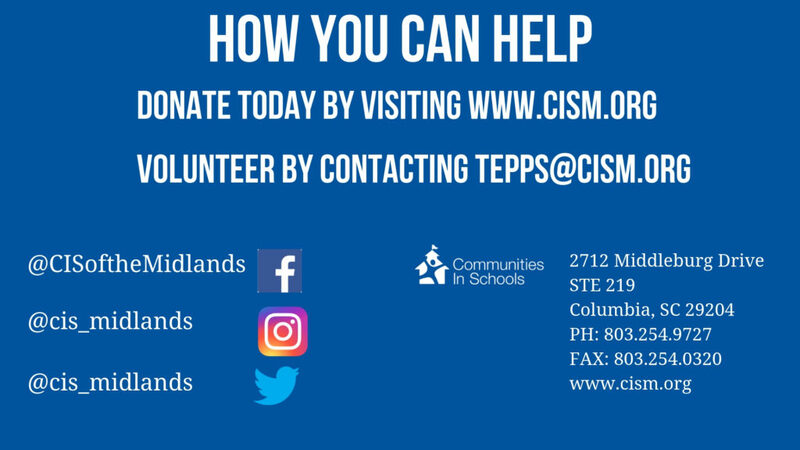 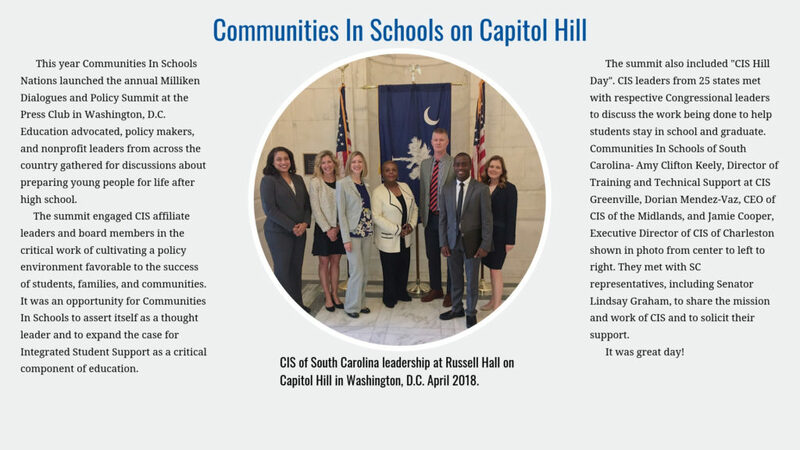 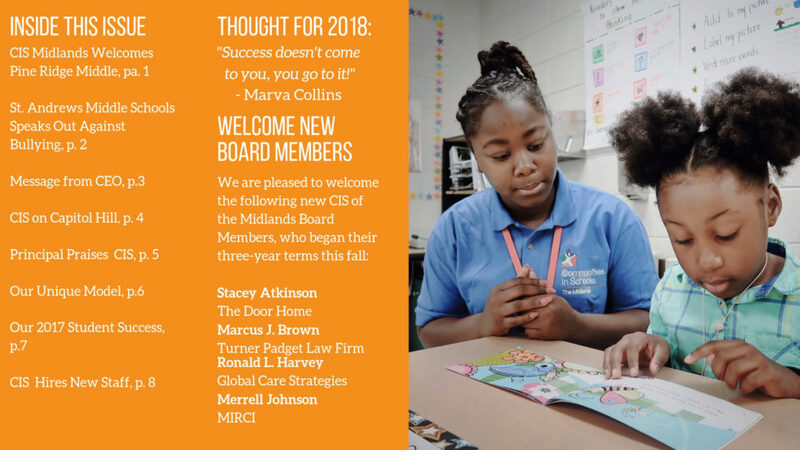 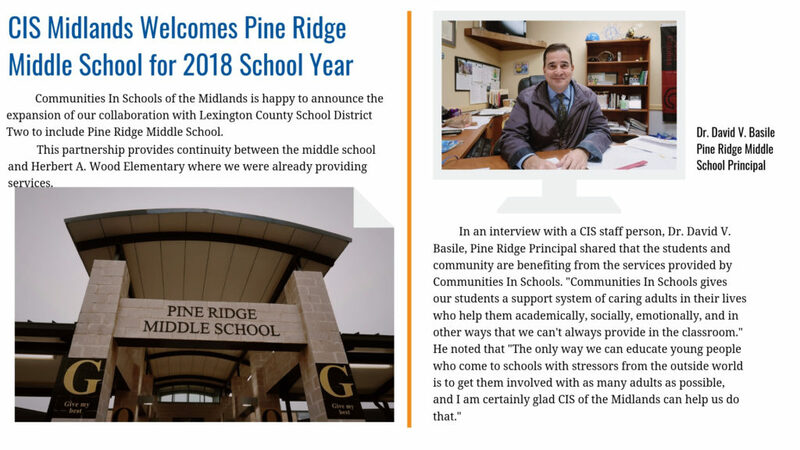 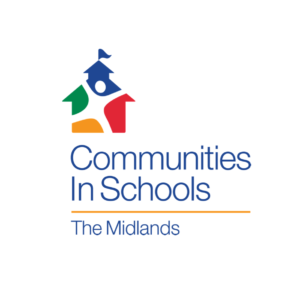 Communities In School of the Midlands (CIS of the Midlands) is a an affiliate of Communities In Schools National, recognized as one of the most evidence based dropout prevention organizations in the world. 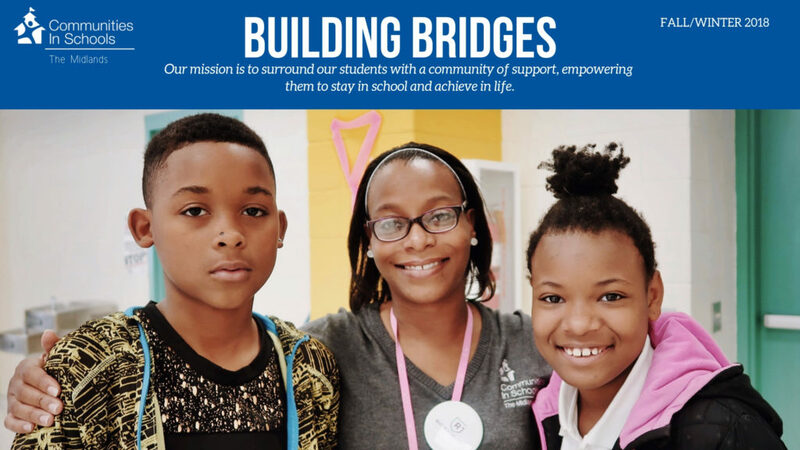 Our mission is to surround students with a community of support, empowering them to stay in school, and achieve in life. 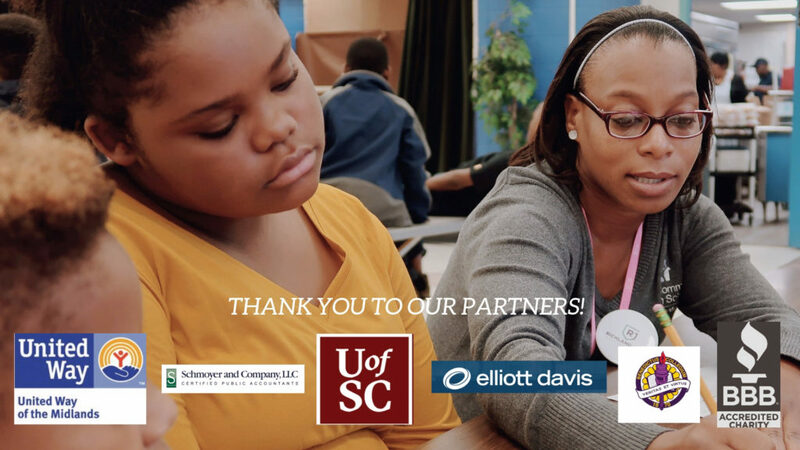 Since inception in May 1987, we strive to expand our services and partnerships. 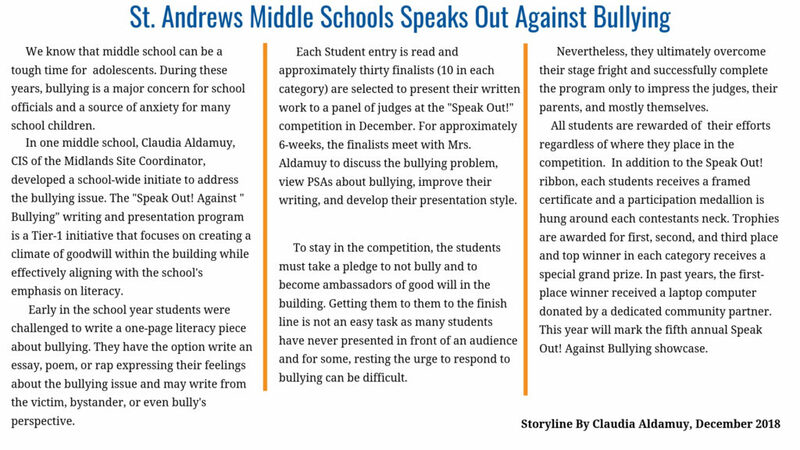 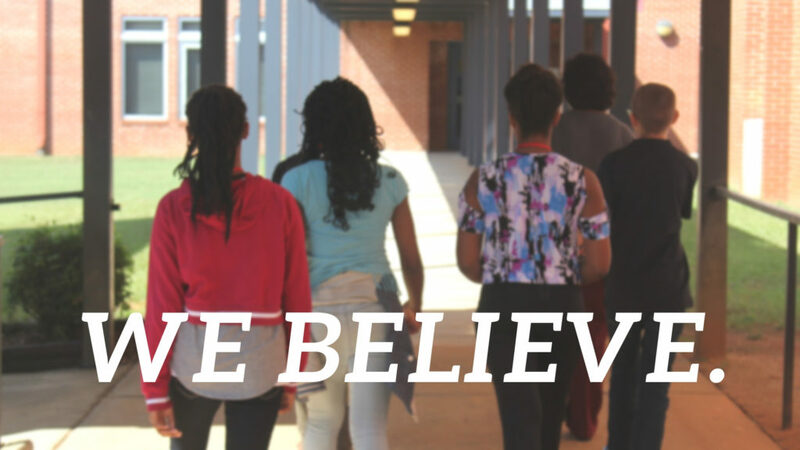 Our programs include services that respond to the needs of students, family, and schools in the Midlands. 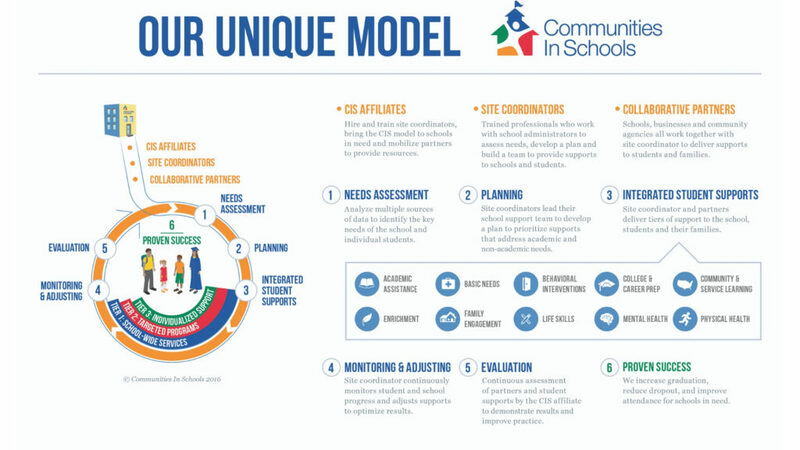 We champion the connection of needed community resources with schools to help young people successfully learn, stay in school and prepare for life. 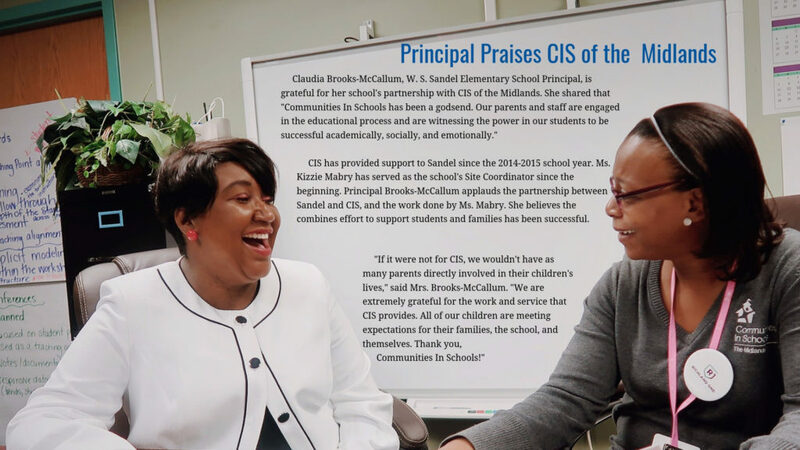 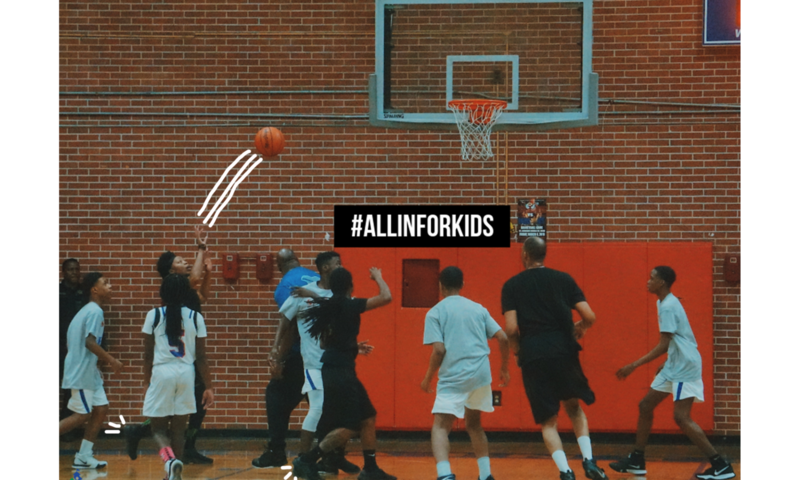 By bringing caring adults into the schools to address children’s unmet needs, CIS of the Midlands ensures students facing barriers have an opportunity for success. 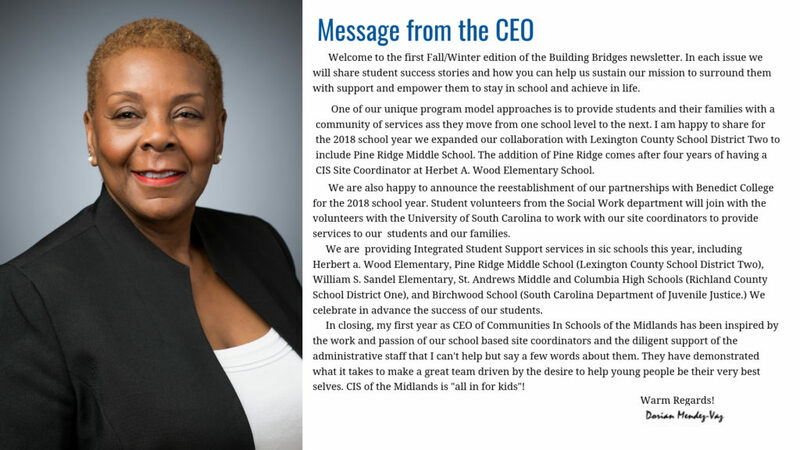 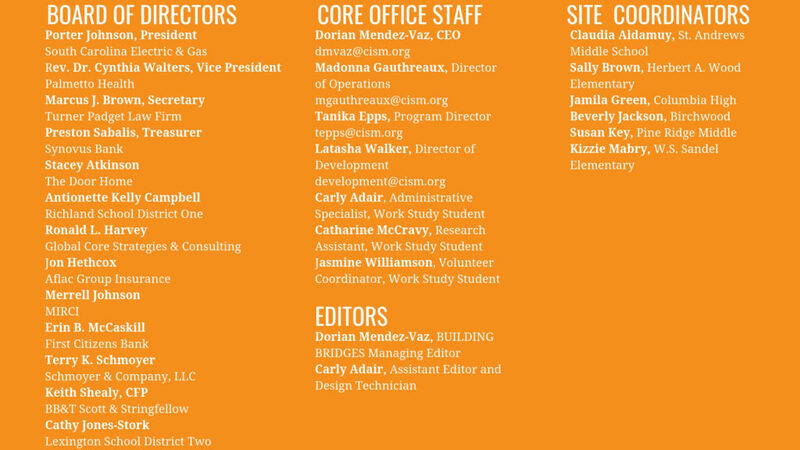 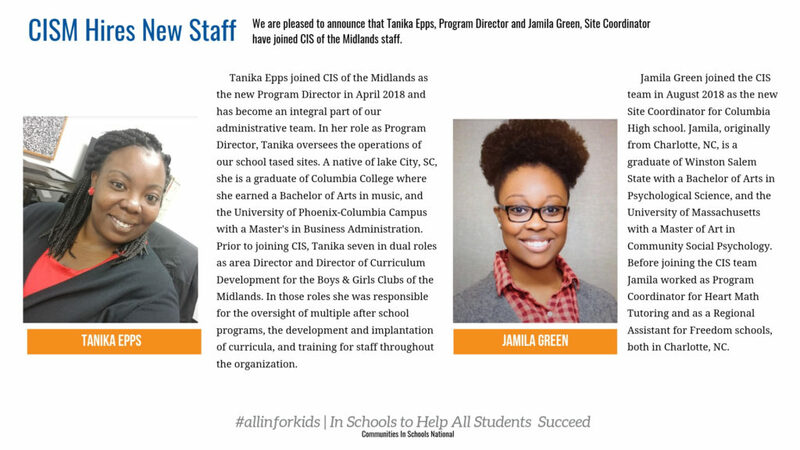 Our school based staff also known as CIS Site Coordinators, facilitates our program services to students in grades K – 12 to address the non-academic needs students experience–chronic absenteeism, academic failure, behavioral issues and other obstacles related to poverty. 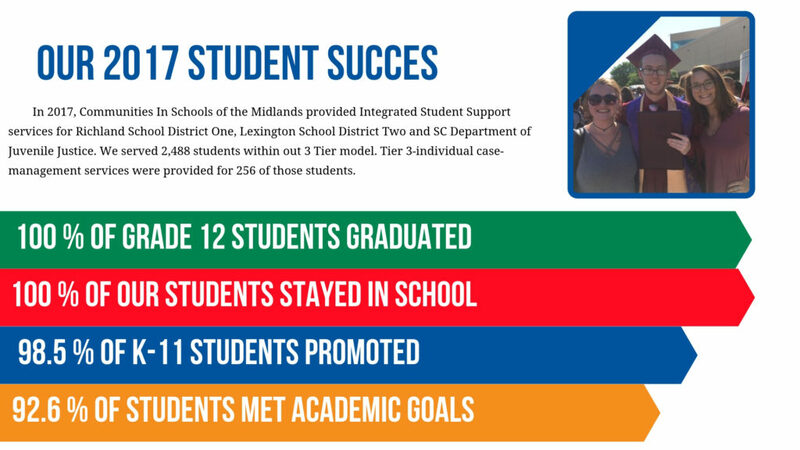 CIS of the Midlands changes the dropout equation with the Integrated Student Support (ISS) program, a school-based research approach designed to promote students’ success by developing and recruiting and then coordinating target resources. 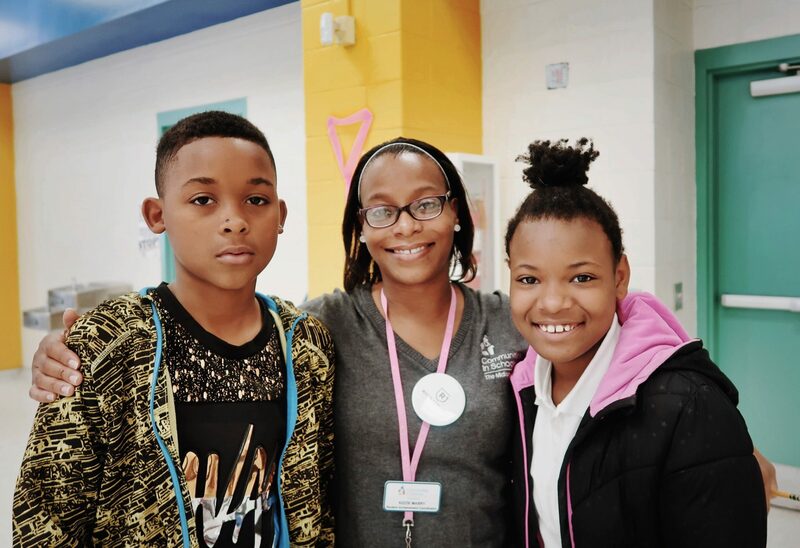 We are guided by a set of 5 Basic Principles that we believe every child needs and deserves to be successful.